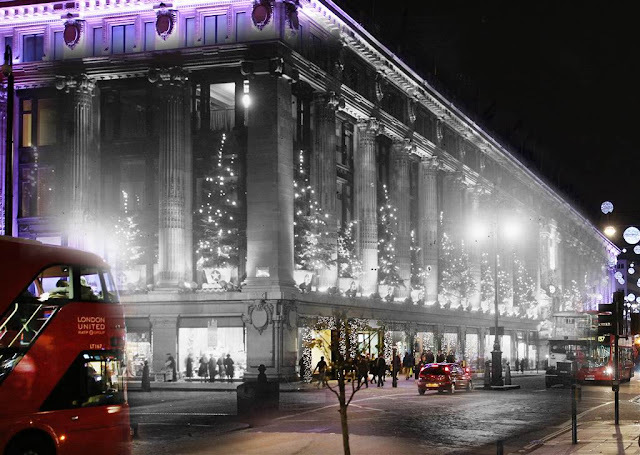 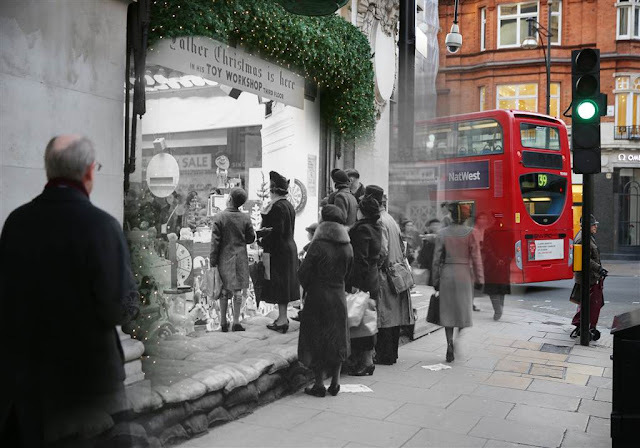 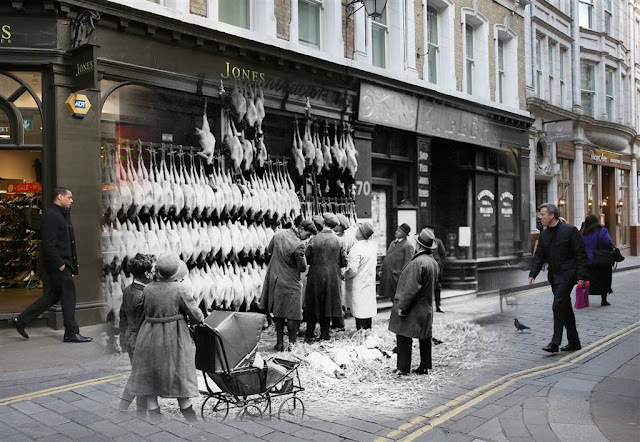 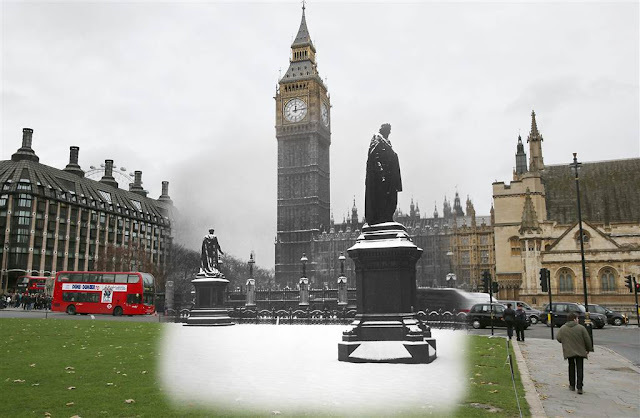 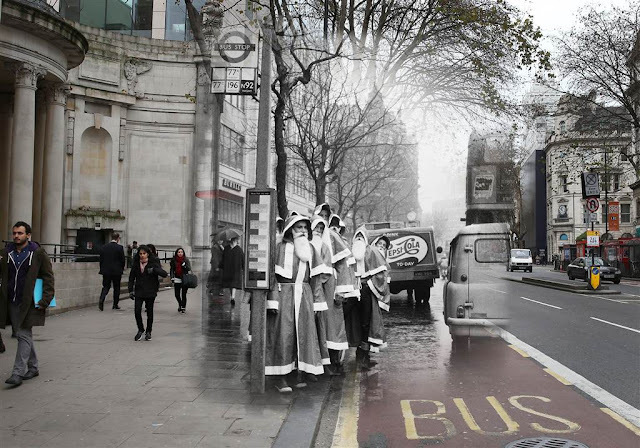 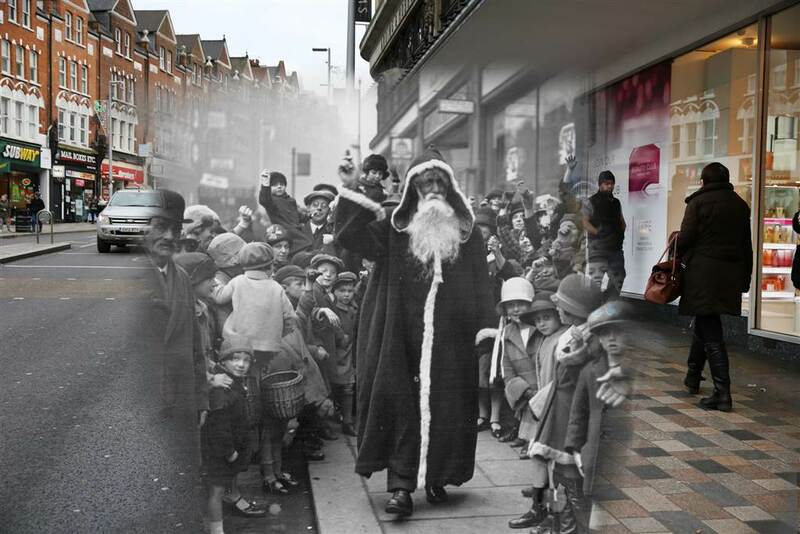 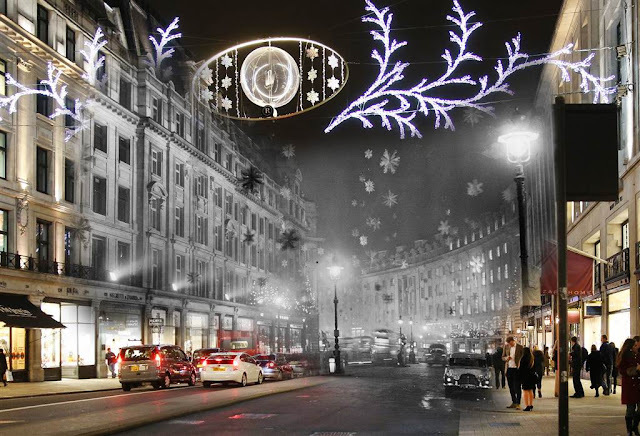 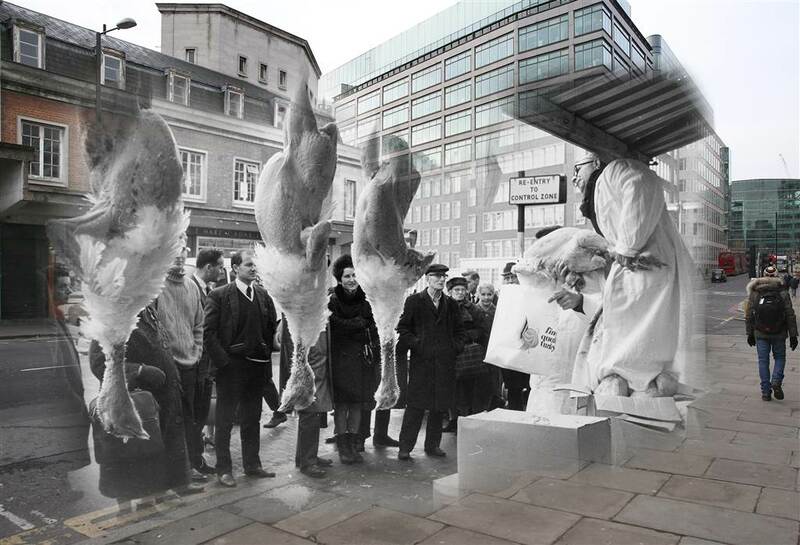 Getty Images photographer Peter Macdiarmid combed through the photo service's archives and digitally combined iconic pictures of Christmas in London throughout history with recent photographs from the city. 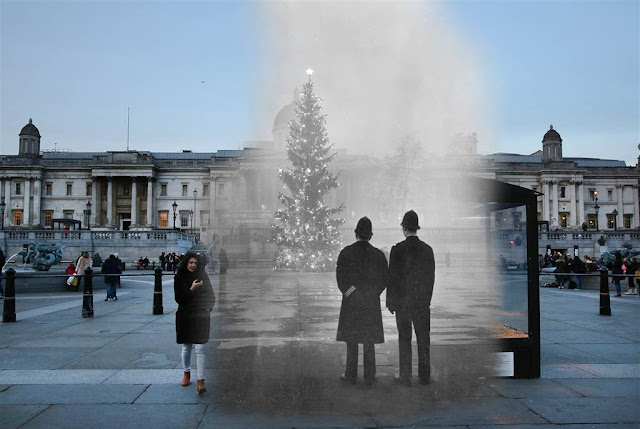 The results are delightfully eerie and a pleasant reminder that, despite how much society may change, some traditions stay the same. 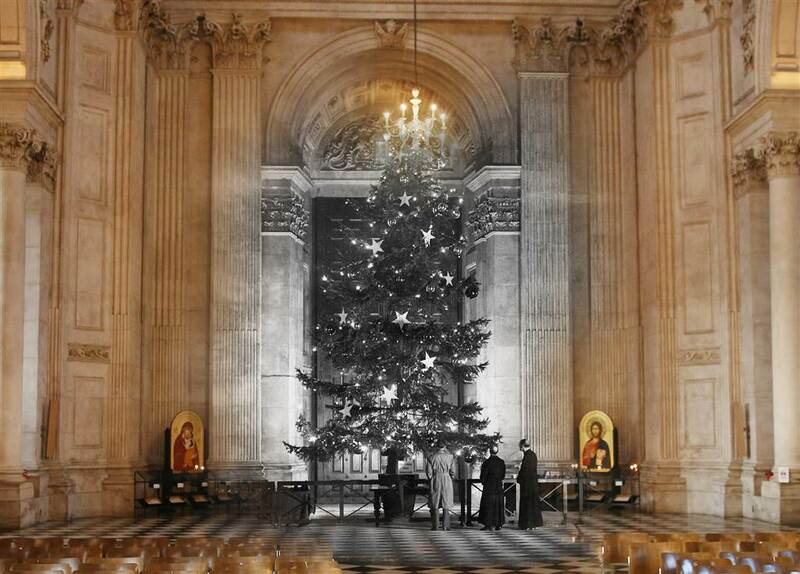 London's St Paul's Cathedral on Dec. 19, 1950. 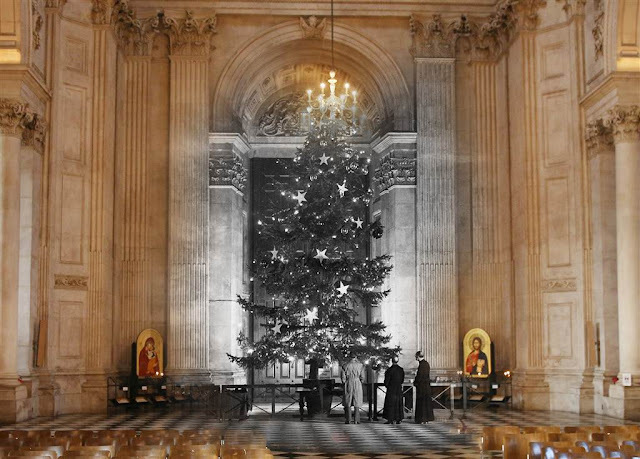 The 1950 tree was brought from the royal estates at Windsor. 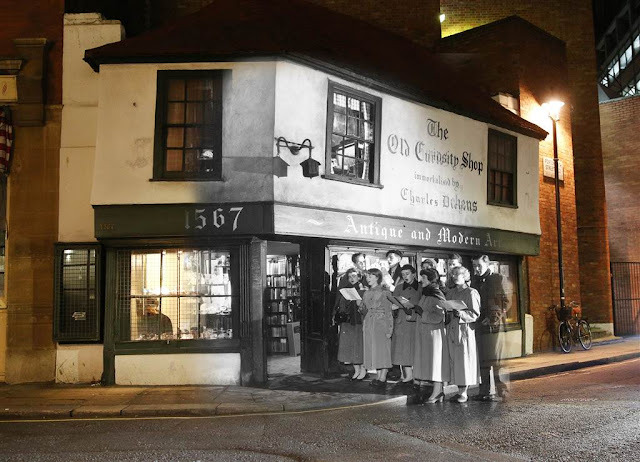 Students of King's College sing Christmas carols outside the Old Curiosity Shop, as immortalized by Charles Dickens on Portsmouth St. on Dec. 12, 1956. 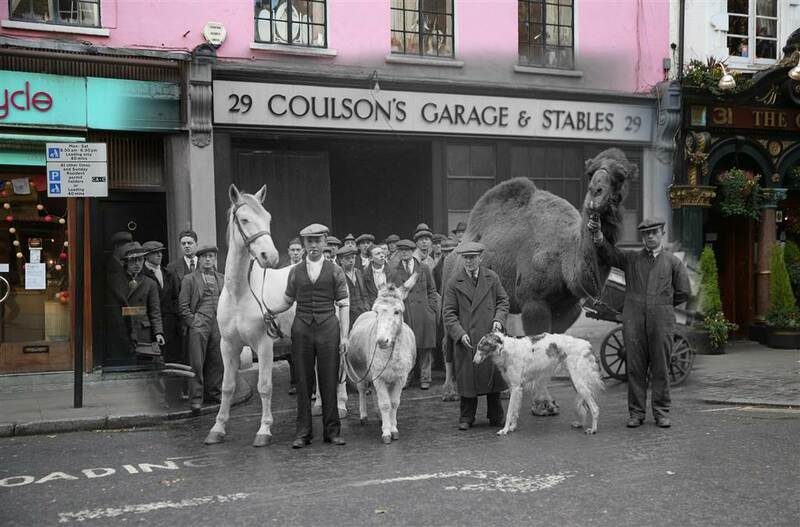 Stable companions appear in 'Song of the Drum' at Drury Lane Theatre on Endell St. on Dec. 30, 1933. Two policemen view London's 64-foot Christmas tree, a gift from Norway, illuminated in Trafalgar Square on Dec. 1, 1948.